Recently, the District Coordinators of Positive School Climate completed an ALICE Training program for every staff person in the Robla School District. ALICE Training is changing how schools, universities and businesses respond to armed intruders. . .
Congratulations to the March Terrific 10 students! As Robla completes a second trimester, students continue making concerted efforts to be to school every day and on time. Classes that achieve 98% or above in attendance continue receiving weekly Attendance Banners in recognition of this important goal. This trimester, the following classes will enjoy pizza parties as a reward for improved levels of attendance: Mrs. Janowicz, Mrs. Sirkus, Ms. Skubal, Mrs. Hester, Mr. Felix, Mr. Kaff, Ms. Paine and Mrs. Cusack. In addition, the names of individual students who achieve perfect and excellent attendance are in a weekly raffle. Students with the most improved attendance can also win rewards. 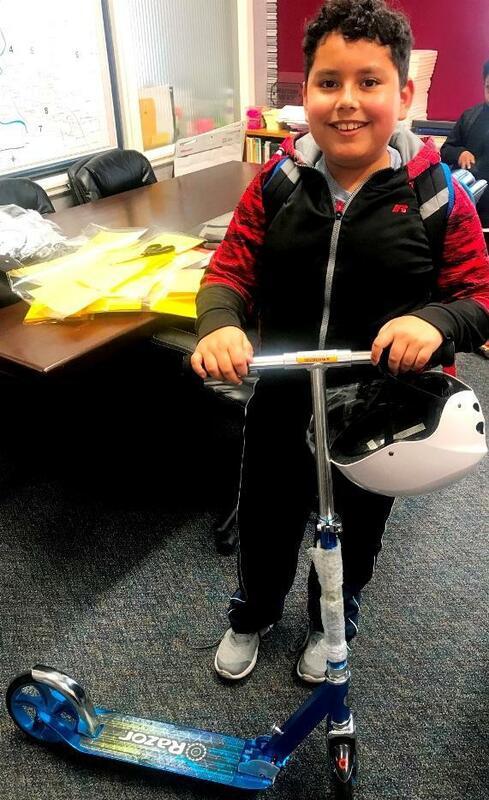 Each Thursday, primary and intermediate student names are randomly selected to win new Razor Scooters! Congratulations to our first winners -- Luis Ayala, 5th grader and Yoshiya McThomas, 1st grader. Attendance matters. Being at school every day and on time increases student success academically and socially. Keep up the good work Robla Mustangs! Note to parents: If you know your child will be absent for at least one week, you can request an Independent Study contract in the front office and your child's teacher will prepare assignments so your child will not fall behind.